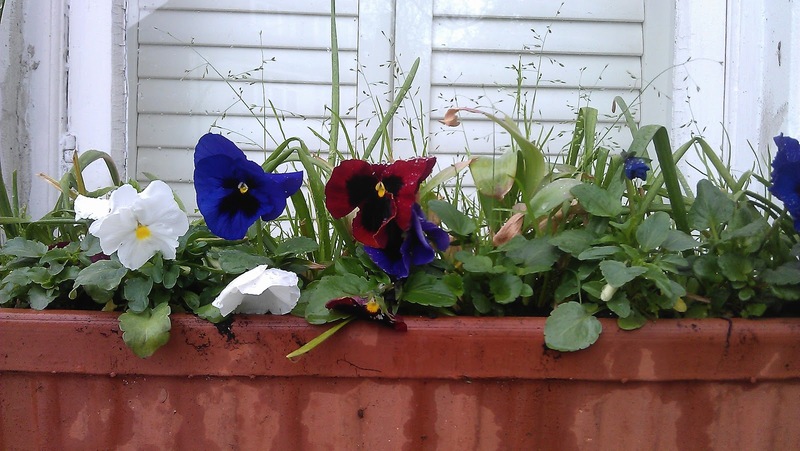 It’s been a cold start to the year at the Secret Garden Club. Although we had some glorious spring days in March, the nights were chilly with the threat of frost never far away, so tender plants were kept tucked up indoors. 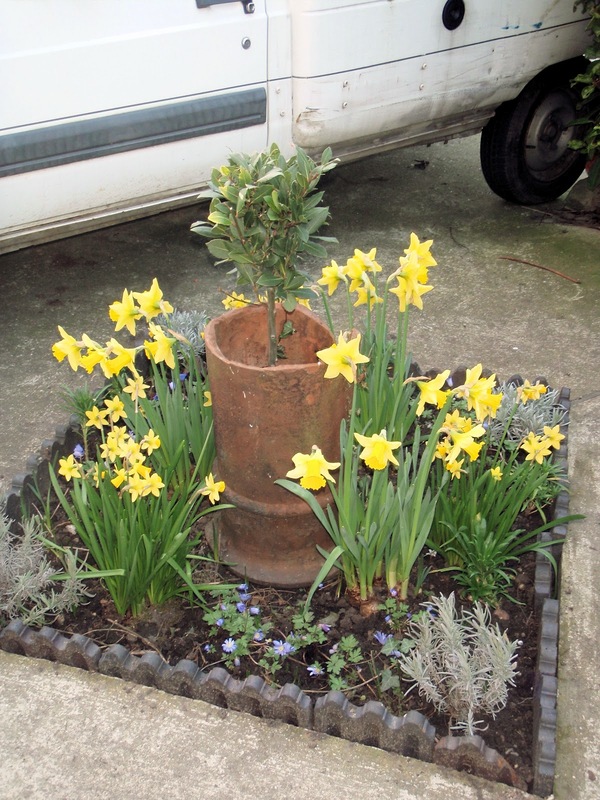 Once the hosepipe ban came into effect, the heavens opened and April turned out cool and wet. 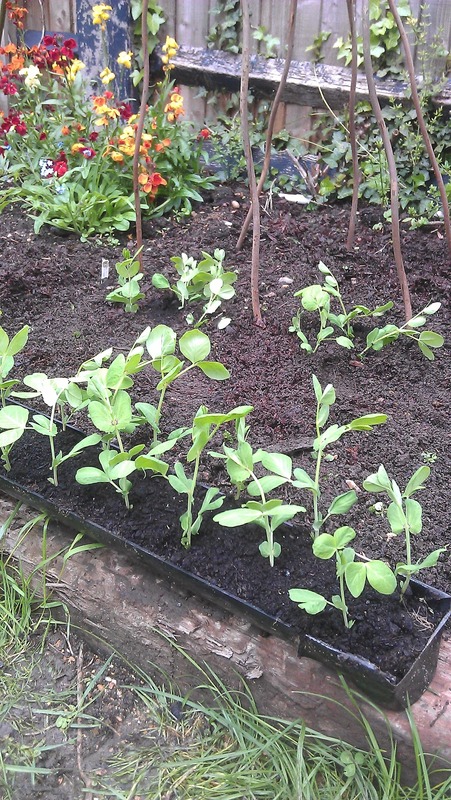 With March’s sunny head start, growth turned lush and very green, as we wait for the milder temperatures of May to warm the soil up and heat up the suntraps. Courgettes, peppers, and tomatoes will all be planted out soon – they are already bursting out of their indoor pots. We’ll also have sweetcorn, climbing beans and squash ready for the Secret Garden Club workshop on companion planting on Sunday May 27th, where we’ll be explaining how the Native Americans grew these three plants, the Three Sisters, together so that they could support and nourish each other. 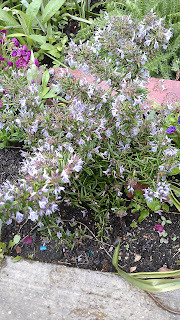 We’ll have other companion planting ideas to share as well, followed by a Cherokee-themed tea created by MsMarmiteLover. 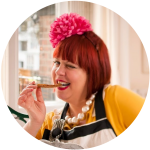 Click here for details and to book tickets. 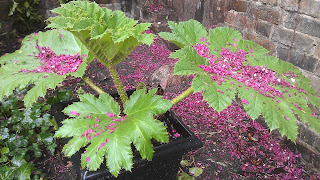 A young Gunnera manicata covered in blossom from the tree above. 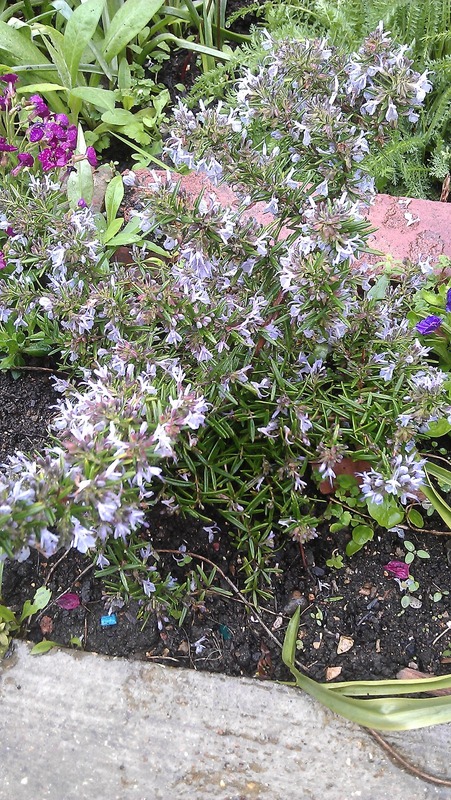 Rosmarinus officinalis ‘prostratus’ – rosemary in the herb garden. Pansies in the window boxes. 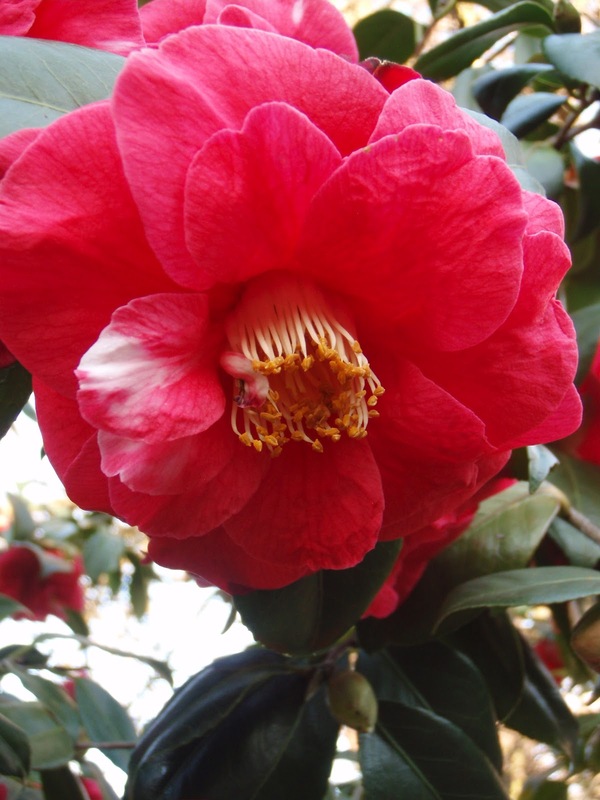 The camellia tree started flowering in January and was still going strong at the end of April. 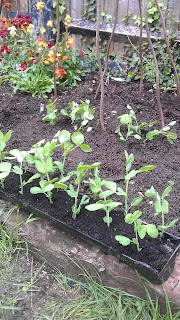 Transplanting sugar snap peas to climb up a willow wigwam.